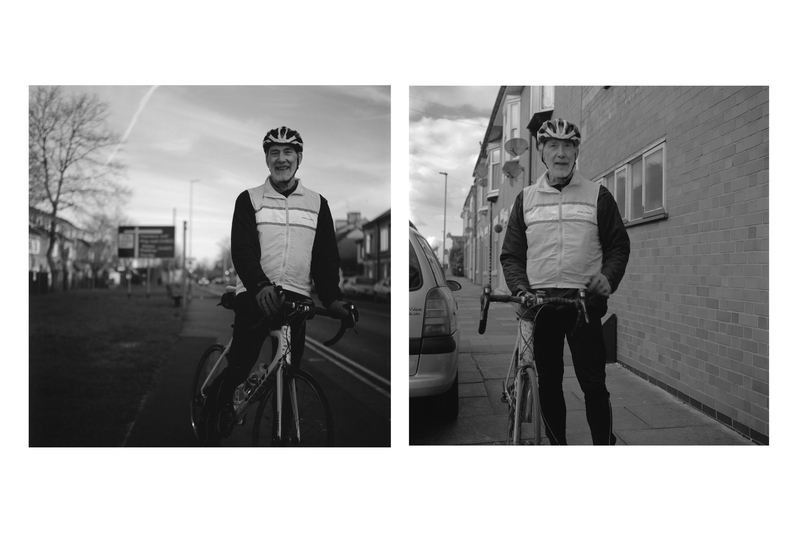 Another post re-blogged from my 52Rolls project. The idea as you might have guessed is to shoot 52 rolls of film in a year, and write about the experience on a collective blog. 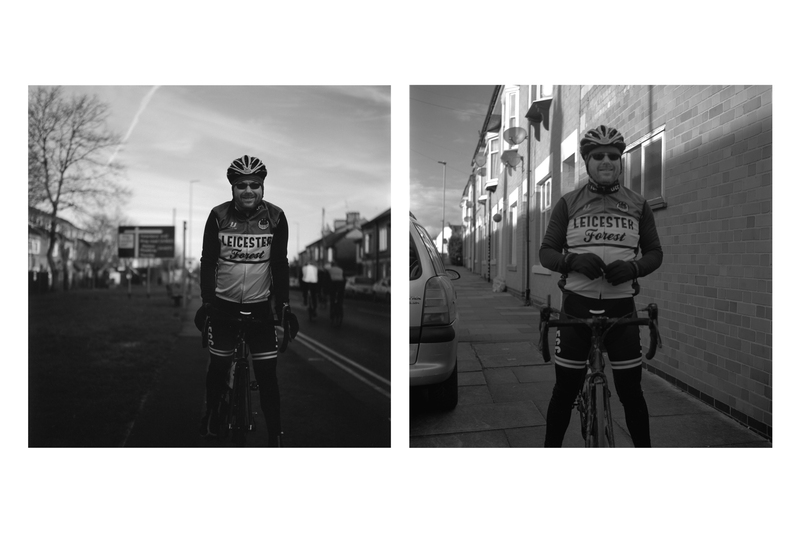 This is the story of rolls 12 and 13… I’m a member of Leicester Forest Cycling Club, and Sunday saw one of the club’s most popular events of the year. 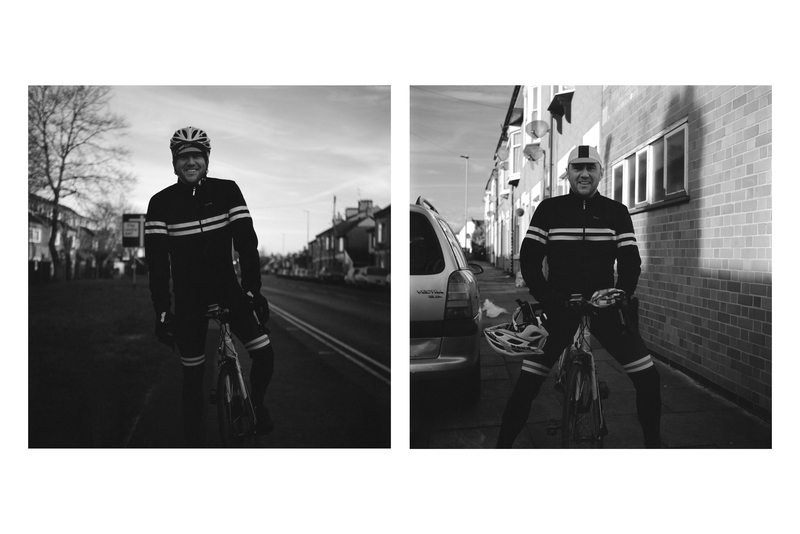 Each February we run an audax from Leicester, out around the rolling hills of Rutland, England’s smallest county. 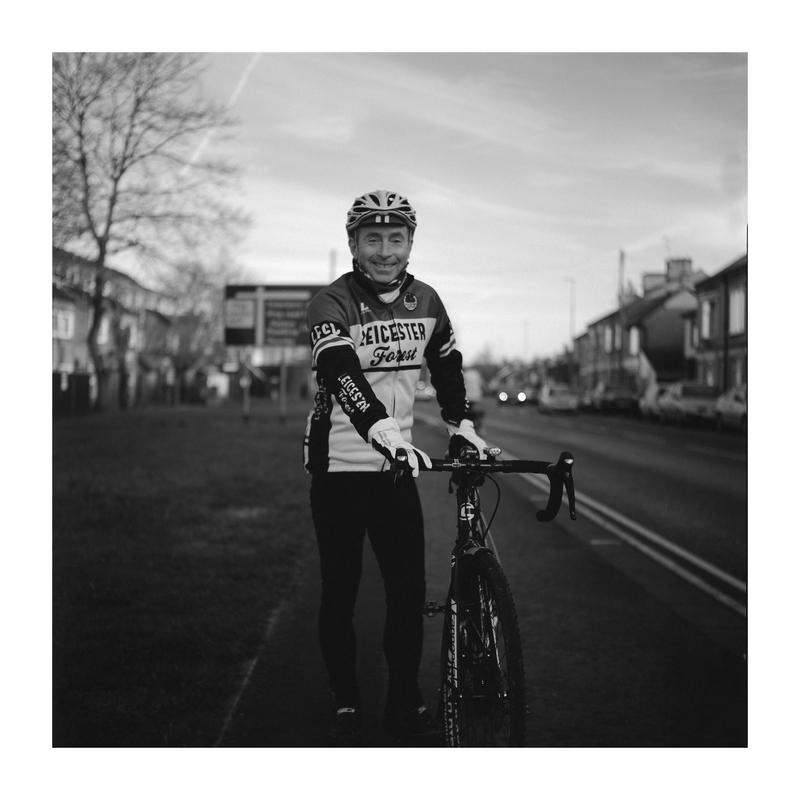 Audax is a non-competitive cyclesport (success in an event is measured by its completion) in which participants attempt to cycle long distances within a pre-defined time limit. It has a long history and is very popular on the continent. 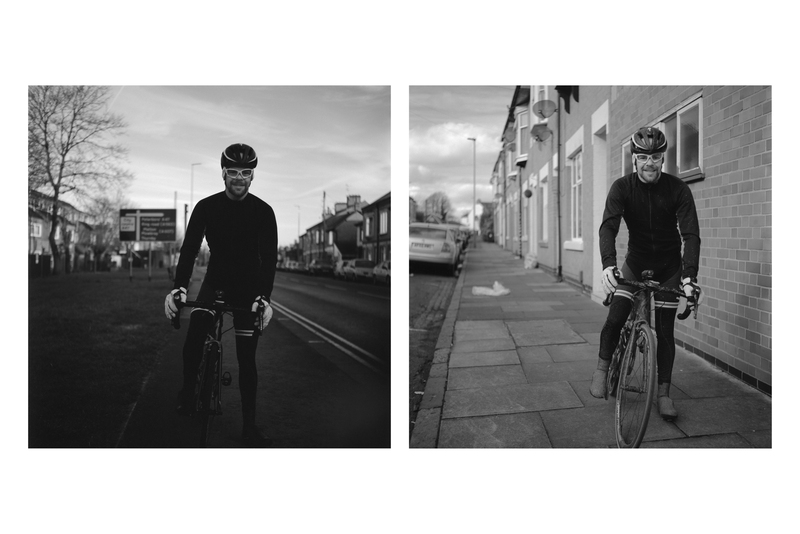 Here, it’s a good excuse for a long, social ride with plenty of cafe-stop controls. 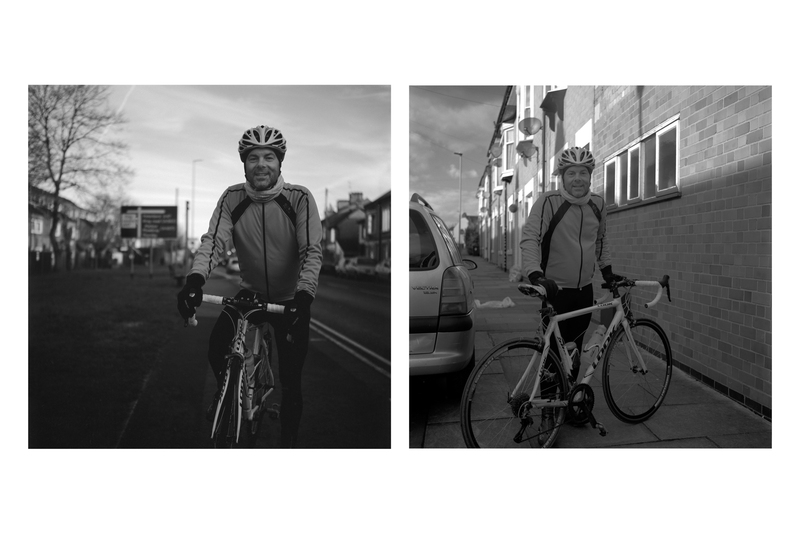 For this week’s roll(s), I thought it might be interesting to take pictures of riders at the start and end of their rides, to see what effect riding 68 miles might have. It sounded like the perfect outing for my new Yashica-Mat, so I posted my intentions on the club’s Facebook page to warn people in advance of what I’d be upto. I arrived only about 5 minutes before the start, set the camera up on a tripod and looked for people willing to have their pictures taken. Despite, unusually for me, having thought about the idea in advance, I still changed my mind about how I wanted the pictures to look, the light levels and location a dozen times in that five minutes. What I was keen to do was to keep a consistency in each set. 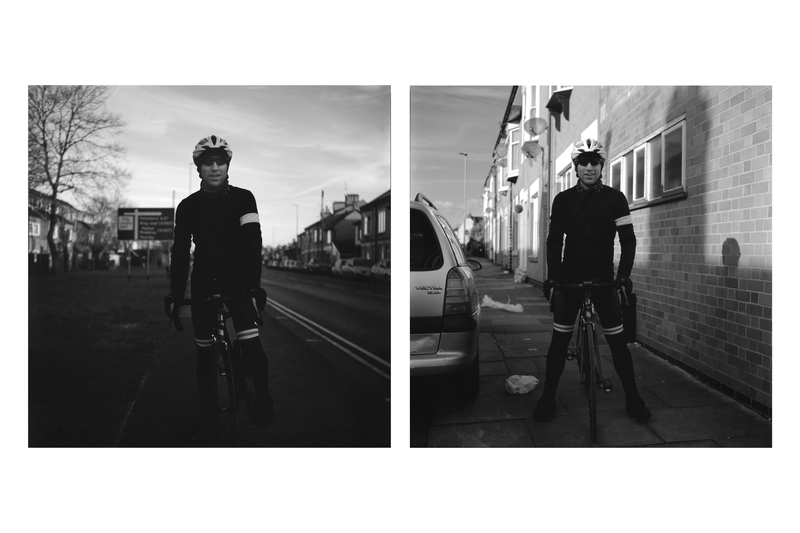 I shot the first roll of 12 before people set off and then rushed off to take Emily swimming and then for a Valentine’s breakfast with my wife. 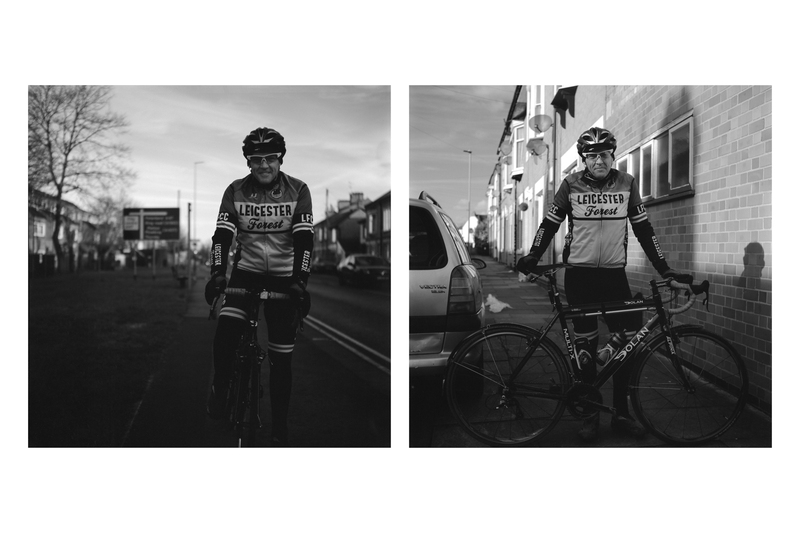 I arrived back at the event HQ 4 hours later, at exactly the same time as the first of the returning riders, a couple of whom I’d photographed in the morning. Because I wanted to get people while they were still sweaty and weary from the ride, I needed to work quickly again. Thoughts of composition and metering went out of the window once more. My flustering was made even worse when after the first ‘after’ picture, a guy came and parked his car on the pavement right in my shot! I spent 90 minutes hanging around, waiting for my 12 riders to return (you can see how the sun moved up the wall to the right). Eight had before I needed to leave for Sunday lunch at my mother’s, which is never to be missed. Apologies to the 4 that I missed. On reflection, I probably should have given a little more thought to the idea before starting it. 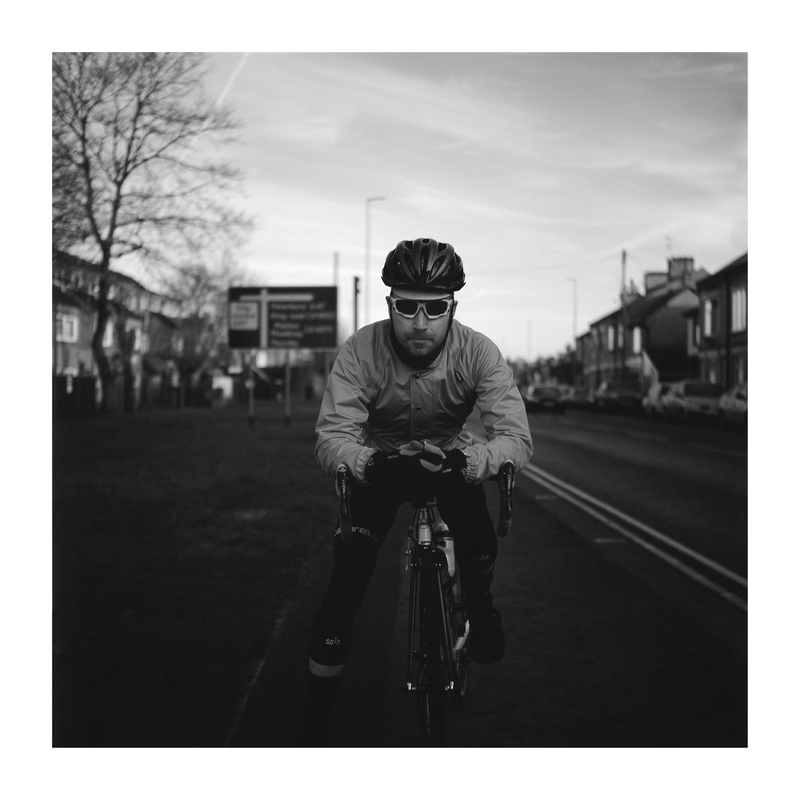 For example, for most of these riders, 68 miles isn’t particularly difficult and so they all look pretty fresh at the end. It was a cold (1C), bright, dry day and so faces weren’t dirty (my initial dreams of a Timm Koelln style set disappeared quickly!). 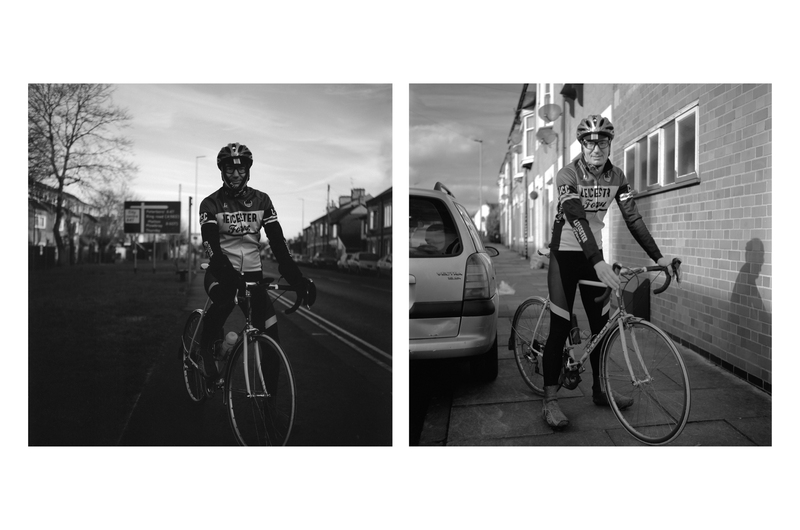 Many had ridden to the start too, so there was less of a contrast between ‘before and after’ as I was actually shooting ‘during and during’. Anyway, the Yashica performed well, with only a slight issue when using the remote release. The pictures in the morning are a bit dark, but then the sun was only just up. The ‘after’ pictures were taken with patchy cloud scudding past meaning ever changing lighting. Without a meter, I was guessing exposures, so all in all, I’ll settle for the results. Scanned at home on a V500 and mangled together in Photoshop.